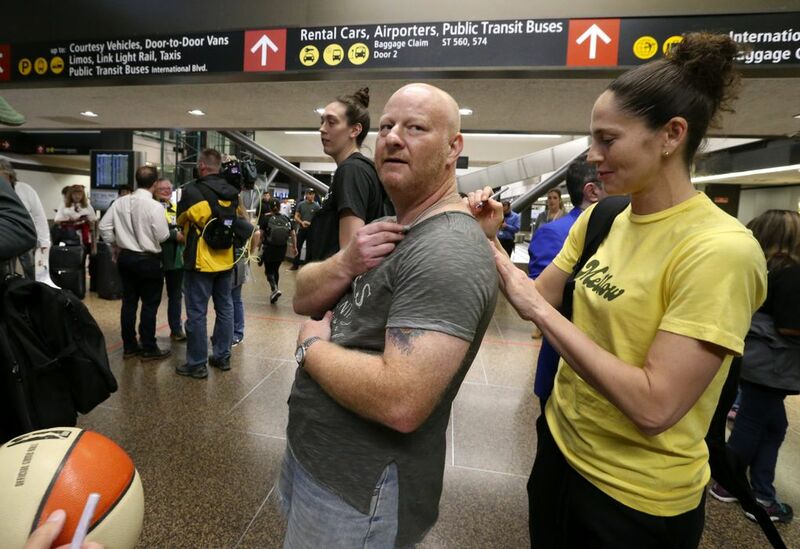 Storm star Breanna Stewart isn't sure what to do next. “Honestly, I don’t know because this is my first time (to win a WNBA title), so I am just going to follow what Sue (Bird) does." A celebratory parade is planned for 1 p.m. Sunday. 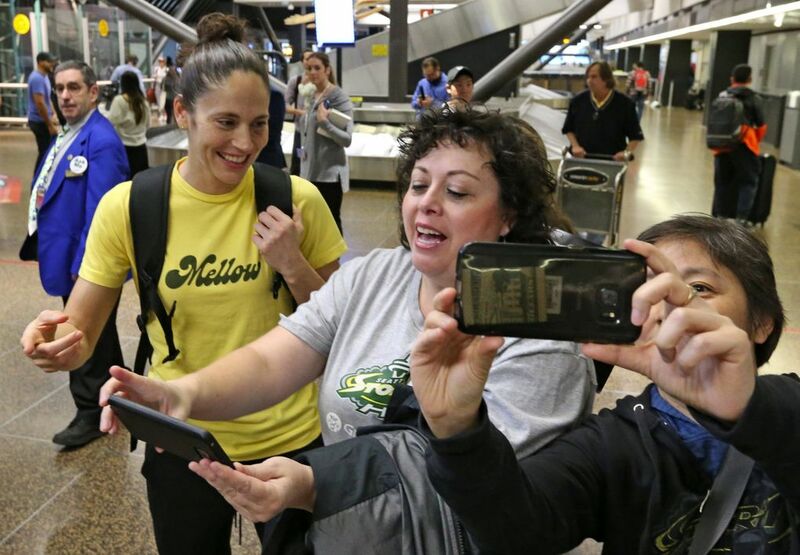 Bleary eyed but very happy, the WNBA champion Seattle Storm returned to Seattle on Thursday morning, greeted at Sea-Tac International Airport by a handful of fans and seemingly every media outlet in the state. No wonder players and coaches were tired after pulling an all-nighter, celebrating at a nearby restaurant after finishing off a sweep of the Washington Mystics just outside the nation’s capital. 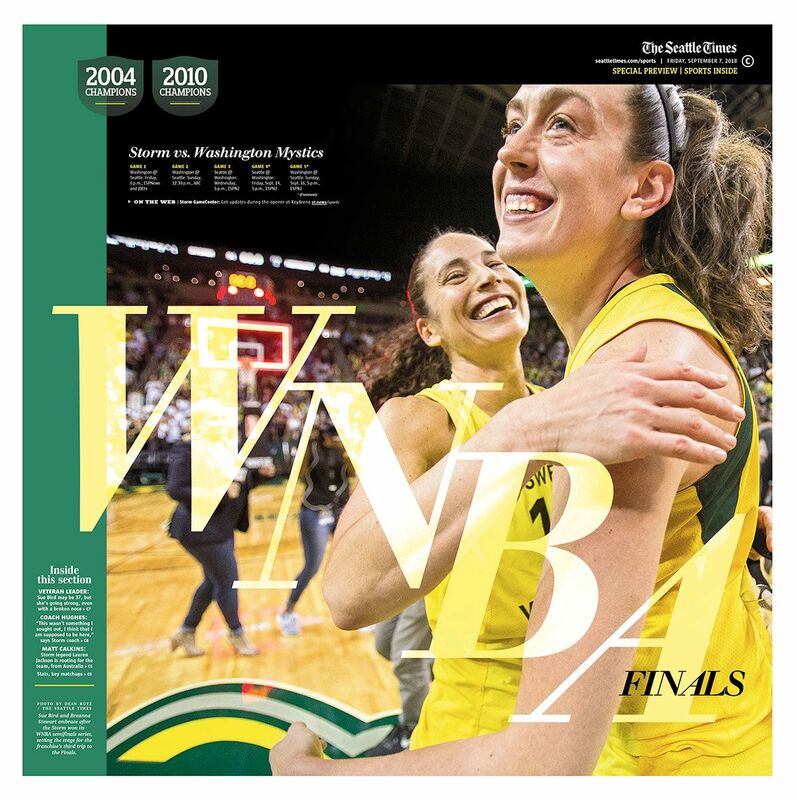 “It’s early for us, but to have this kind of support, especially when we come home after bringing home the trophy, this is what it is all for,” said forward Breanna Stewart, the league MVP and the WNBA Finals MVP. Stewart said the first time she got to sleep after winning the title Wednesday night was on the plane ride home. “We were celebrating, and I am sure we will continue,” she said. A celebratory parade is planned for 1 p.m. Sunday. Stewart was not sure what her plans were for Thursday, but said she had a role model to watch. Stewart was 7 when Bird began playing for the Storm in 2002 after being the first pick overall in the WNBA draft. Bird won two titles in college at Connecticut, and now has won three with the Storm. But it had been eight years since Bird, now 37, and the Storm won in 2010. Perhaps more than anyone, she is soaking in all the celebration “because you can never re-create that,” she said. “Honestly, it does feel a little different,” Bird said of this title. “And I think it’s just because of my age and because the older you get, the more you know, and the more you know can go wrong. So this had oddly been a very stressful playoff run for me personally because you want to win so bad. And when you know what can go wrong, you kind of overthink it. This was also a meaningful title for forward Natasha Howard, who had 29 points and 14 rebounds in Wednesday’s 98-82 win that finished off the Mystics. 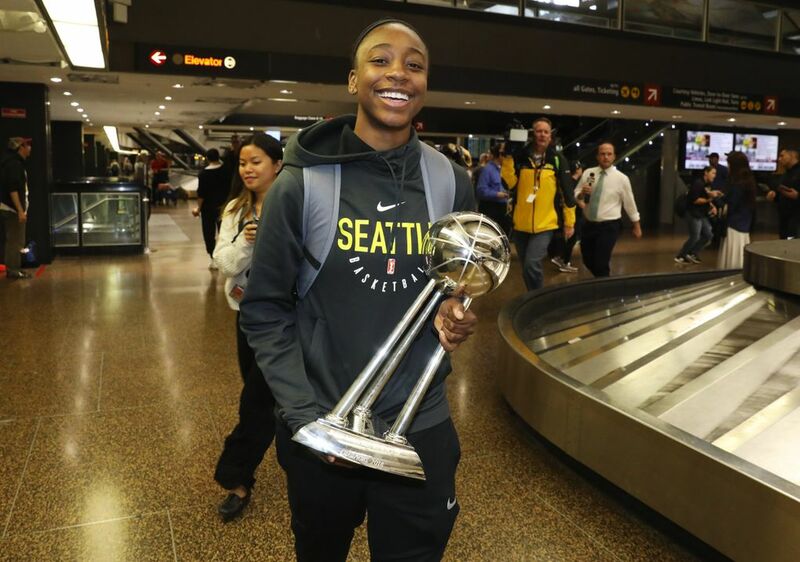 Howard was a deep reserve for Minnesota during the Lynx’s title run last year, averaging 1.1 points and 0.9 points. Acquired by the Storm before the season, she played a huge role in her team’s title this year, averaging 15.8 points and 8.3 rebounds in the playoffs. Dan Hughes, 63, was lured out of retirement before the season to coach the Storm. Now, after his 17th season as a WNBA coach, he finally has his first title. He said before the finals that winning a title would make his career complete. Now, what’s left do is Sunday’s parade and some more celebrating. “Just hang out with each other and continue the party,” Bird said of the plan.